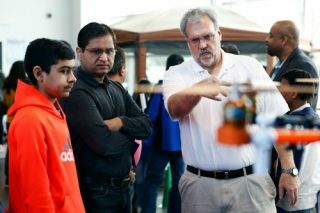 Recently, WashingtonExec hosted its annual STEM Symposium, a gathering of both industry and partners, to discuss ways of advancing STEM knowledge among students. Check out our recap of invaluable exhibitors and accompanying resources. Plus, learn exactly what you need to take the first, concrete step. Long before “STEM” became a buzzword, the Boy Scouts of America were teaching kids everything from outdoor science (like flora and fauna lessons) to engineering (annual raingutter regatta racing event, for one). In addition, the Boy Scouts offer 133 merit badges, with the latest crop focused on science in areas such as welding, meteorology, computer programming, chemistry, material science, engineering, robotics and game design. The Boy Scouts aren’t just for boys, either. The Scouts’ Venturing program is open to young men and women from age of 13 (if they have already completed eighth grade; if not, then by 14) through 21. The program includes the option to choose a STEM field of interest, in fields such as robotics, aviation and space exploration. 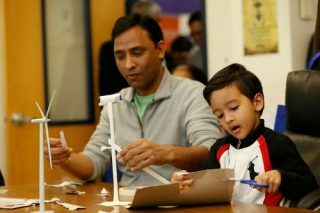 Half a million children call Northern Virginia home, and the Children’s Science Center is where they can go to explore, create – and be inspired. That’s been the tagline of the center since it was founded more than a decade ago. 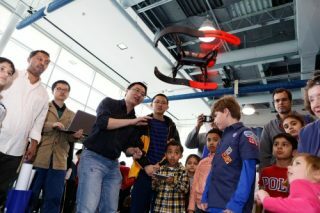 Today the center, which operates at Fair Oaks Mall in Fairfax, Va., holds a variety of workshops, classes and demonstrations in areas such as the science of music, computer science and nano technology. This national youth-run nonprofit empowers the next generation of leaders by teaching them basic programming skills. The program was founded by Swetha Prabhakaran, a junior at Thomas Jefferson High School for Science and Technology, in Virginia. For her work helping hundreds of teens learn programming basics, Prabhakaran was recently awarded the ‘Champions of Change’ award at the White House. Among the program’s endeavors is Spark-IT, which guides middle and high school students through the basics of HTML and CSS. Additional programs help students learn Django, Bootstrap and Java. Since its start in 1993, the Fairfax Collegiate Summer Program has grown to offer 120 courses in fields such as mathematics, engineering, test prep, programming and robotics. 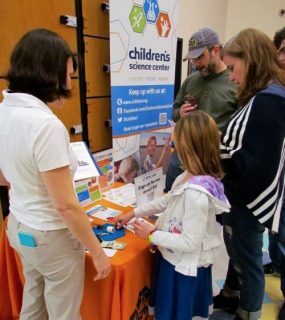 Over 3,000 students attended the program last year, at locations throughout the Northern Virginia area – making it the largest STEM program in the area. Course registration details here. Grow your executive network with like-minded executives and thought leaders in DC, MD, and VA. Launched in 2004, Fairfax Futures brings teachers and community leaders together to collaborate on ways to improve early childhood education and school preparedness among students throughout Fairfax County. While most of the programs are geared toward early childhood educators, as well as business, community, academic and government leaders, the organization also helps parents motivate their children through publications such as Helping Your Child Love to Learn. Led by a committee of Women in Technology, and sponsored by STEM for Her, Girls in Technologyworks to inspire girls in grades 4 to 12 to learn about careers in STEM areas. The program reaches over 500 girls in the Washington, D.C. area through engagement with female executives in STEM-related careers. GIT’s other initiatives include a VEX robotics program and career development seminars. Check out future events. In 1989 former U.S. Navy offer Robert Ballard founded JASON Learning, an independent 501(c)(3) nonprofit to help students and teachers alike strengthen their knowledge of STEM-related subjects. Online learning curricula place students in daunting, real-life scenarios that they can navigate alongside leading STEM professionals. In addition, students deepen their STEM knowledge through accompanying print and digital source materials, videos and online games. Run by a group of young engineers, Robotics for Youth teaches students the basics of robotics engineering. The team of mentors, located at schools nationwide, coaches students in technologies such as the EV3 and NXT robotics kits; Arduino (an open-source electronic prototyping platform for creating interactive electronic objects); the VEX Robotics Design System; and the Raspberry Pi, a low-cost, credit-card sized computer. Check out upcoming events for robotics engineering events near you. Based in Washington, D.C., SSEC is the only unit at the Smithsonian Institution dedicated to K-12 education advancement. Backed by both the Smithsonian Institution and the National Academy of Sciences, the center has developed a K-8 curriculum program; in addition, the center has outlined a unique model known as Leadership and Assistance for Science Education Reform (LASER) to assist schools in creating the infrastructure needed to increase student achievement in STEM. Not sure where to begin? The Parent STEM Action Plan offers a concrete first step in helping you guide your child toward a STEM education. Sign up and a download link will be sent to your inbox.